These are some simple words which make me fall in love with Melbourne the most livable City. While writing this post the first question that came into my mind was, What makes a city livable? Everybody has it's own take on this some like cities which have a great night life and are fast moving. Some cannot adjust in these kind of cities. Some like to go to cities on holiday which have lot of adventure sports or scenic beauty or historical places everybody has it's own opinion. When I heard about Melbourne I started exploring it on the internet and I simply concluded that Melbourne is the most livable city. A city which has everything. 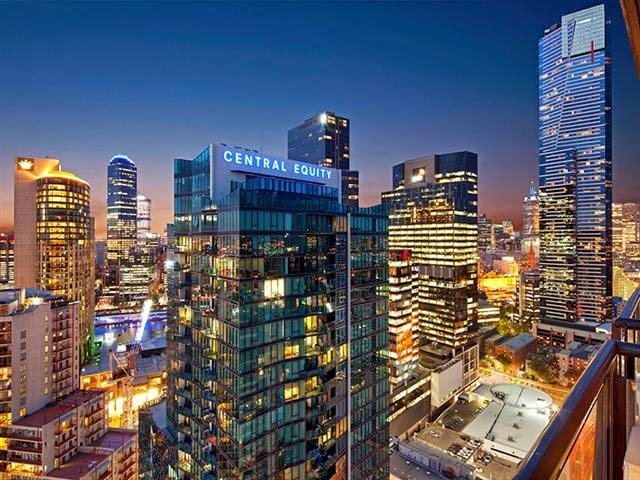 Melbourne is the Capital and most populous city of Victoria. Founded on 30th August 1835 and was named "Melbourne" by Governor of New South Wales, Sir Richard Bourke. Melbourne City has been ranked the most livable city since 2011 and among the top 3 since 2002 according to the Economic Intelligence Unit. If I talk about Melbourne as a tourist, this city has everything. A city which is a must to visit in lifetime. Melbourne City Center was established in 1835. It comprises of two oldest areas of Melbourne the Hoddle Grid and Queen Victoria Market. It has the five most tallest buildings out of six in Australia. It has five railway stations. The Yarra Valley is the region surrounding the Yarra River. 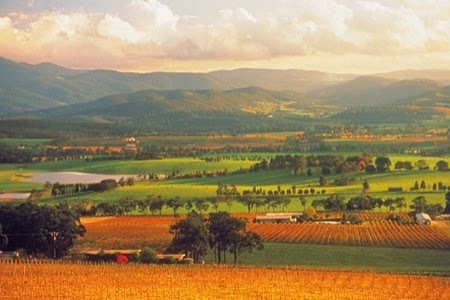 Yarra Valley is popular for day trips and a tourist area. A nice place with awesome scenic beauty. 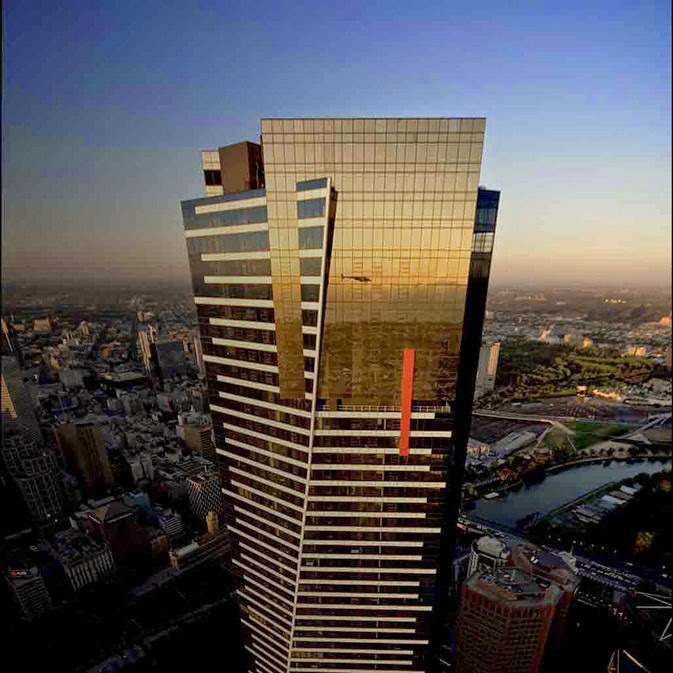 Eureka Tower is one of the tallest residential building in the world. The construction started in August 2002 and was completed in June 2006 and officially opened on 11th October 2011. 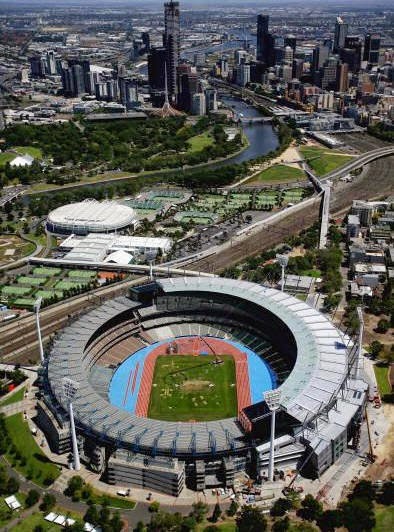 It is 975 ft.
Melbourne Cricket Ground : Watching a cricket match at Melbourne Cricket ground would be a dream come true. It is one the largest stadium in the world. The stadium was opened in 1854 and has a seating capacity of 100,000 approximately. 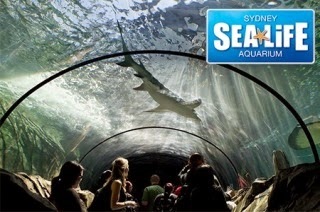 Sea Life Melbourne Aquarium is home to more than 10,000 aquatic animals including one of the world's largest saltwater Crocodiles. 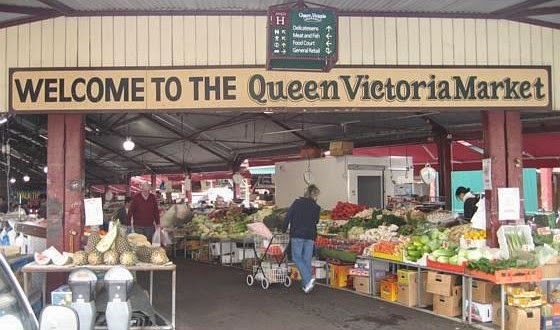 Queen Victoria Market is the largest open air market in the Southern Hemisphere ( about 17 acres). This Market has everything from food, fruits, jewellery to clothing and is a major attraction for tourists. Shrine of Remembrance was unveiled on 11th November 1934 for the all the Australian soldiers post World War I. Built with a nice architecture it is a must place to visit. 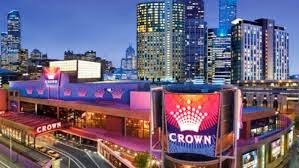 Crown Casino and Entertainment was opened in 1997 located on the south bank of the Yarra river. I like Casino' so would surely visit Crown Casino. Luna Park is a historic amusement park in St. Kilda. It was opened on 13th December 1912. There a number of enjoyable rides. 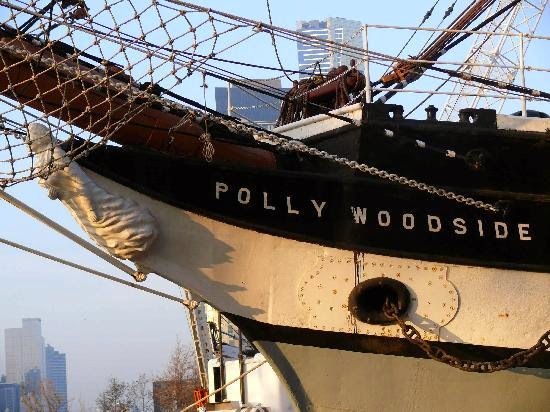 Polly Woodside is a major tourist attraction. It is a tall ship and was launched in 1885 in Belfast. It was closed for redevelopment and was opened recently for the public on 23rd December 2010. 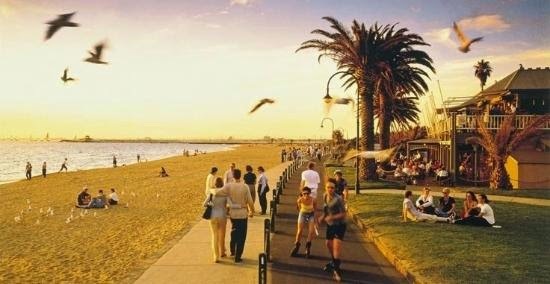 St. Kilda Beach is located in St. Kilda 6 KM south from Melbourne City Center. It is the most famous beach in Melbourne. 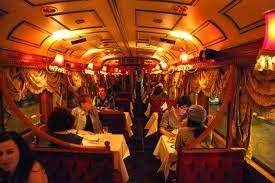 Colonial Tramcar Restaurant is one the major tourist attraction in Melbourne. The Colonial Tramcar Restaurant Company was was formed in 1981 to operate restaurant trams. The service started in August 1983. This place is at the top in my list. 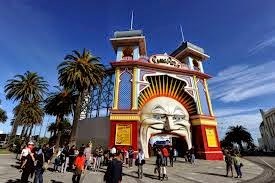 Apart, from these Melbourne Markets are a must to visit. If I get a chance to visit Melbourne I would plan my itinerary in such a way that I visit all these places. In my opinion, Melbourne is the most livable City. Answer a simple question and the best answer will win a shopping worth Rs. 500. Question: "Which of these places would you want to visit in Melbourne and why?". Contest ends 4th Jan 2015. So, hurry and answer the question. Note : The best answer will be chosen by me and the decision will be final. The Great barrier reef, what else? There's only one word to describe it completely, - Mesmerising. What more would one want if one gets to see the great barrier reef, the corals and the numerous creature our oceans have hidden away from us still preserving them for us. Ah, the sights make me yearn for a tour to Australia, atleast once in a lifetime. Hey a Foodie and a Blogger ..Deadlier :),Superb post ,so all set to pack bags to have a thrill at Melbourne,Now being high on my wish list .U’ve very well covered the best of Melbourne and for the entry in contest ,there cannot ever be a single place for me.It has to be a bouquet of places to calm down my zest to explore it.So naming ,first comes the Great Ocean road not just to linger or have a decent walk but to amaze myself with Jetskiing ,Scuba diving and to try swim with Dolphins,seal Yay,these beautiful creatures would be lucky to share a swim with me.ha ha.Then it would be Eureka Sky deck, to have an awe inspiring experience to be closest to sky and get the sky deck view of this liveable city, MCG to watch and cheer the players on one of the worlds best cricket ground!